We are delighted to announce that the second beer in our Hop Adventure Series is almost ready for release. Would you like to be one of the first people to try it? Simply guess what hop we are using for the second edition of our Hop Adventure Series to be in with a chance to win the first case of beer bottled & also a brewery Tour. You will remember that for the first chapter of this Single Hop Series we used the hop Sorachi Ace, so have a little think about where we are going next in this adventure and try your luck to win. To enter simply head over to our Facebook Page and follow the simple instructions. Be sure to like our page also while you are there and share the love with your friends! Winner will be announced this Thursday. Best of luck! The competition is open to all ROI residents over the age of 18 excluding employees and their immediate families of Carlow Brewing Company (the “Promoter”) or other persons professionally connected with the competition. By taking part in this competition all participants will be deemed to have accepted and be bound by these rules. This competition is in no way sponsored, endorsed or administered by, or associated with Facebook. You understand that you are providing your information to the Promoter and not to Facebook, and that Facebook have no liability for any element of this competition. By participating in this competition, to the extent permissible by law, you the entrant hereby release Facebook from any and all claims, damages or liabilities arising from or relating to your participation in the competition. To enter participants must like https://www.facebook.com/OHarasIrishStoutsAndAles and comment on the O’Hara’s Hop Adventure Series Guess The Hop Competition post on https://www.facebook.com/OHarasIrishStoutsAndAles naming the hop they think will be used in the beer. Note: The promotion will run between Sunday 4th October and Thursday 8th October. The winner will be selected at random once the entry window is closed and announced before 6pm on 8th October. The winner will be notified publicly on Facebook and then Private Messaged to obtain prize delivery details. If a winner does not engage with the team within 1 week from the time the Private Message is sent to them, a new winner will be selected at random instead. All reasonable effort will be made to contact the winner, however, if the prize is not claimed an alternative winner may be selected at the Promoter’s sole discretion. The opening date for the competition is Sunday 4th October 2015 and the closing date for receipt of entries is Thursday 8th October 2015. The Promoter reserves the right to disqualify incomplete, altered or illegible entries. No responsibility will be accepted for entries lost, damaged or delayed. No responsibility will be taken for technical, telecommunication or website error, proof of entry is not proof of receipt. The Promoter reserves the right (subject to any written directions given under applicable law) to disqualify any individual who tampers with the entry process or otherwise attempts to interfere with, undermine or harm the Promotion. If for any reason the Promotion is not capable of running as planned for reasons (including but not limited to tampering, unauthorised intervention, fraud, technical failures or any other causes beyond the control of the Promoter which corrupt or affect the administration, security, fairness, integrity or proper conduct of this Promotion) the Promoter reserves the right to cancel or alter the Promotion in its sole discretion. Entries must be made using a legitimate Facebook account. Entries from entrants using multiple Facebook accounts are not permitted and all such entries will be disqualified and any prize award forfeited. Online entry via Facebook only – all participants must have access to the internet and an active Facebook account. If you do not have an active Facebook account you will need to create one in order to participate – you will require an active email address in order to do this. 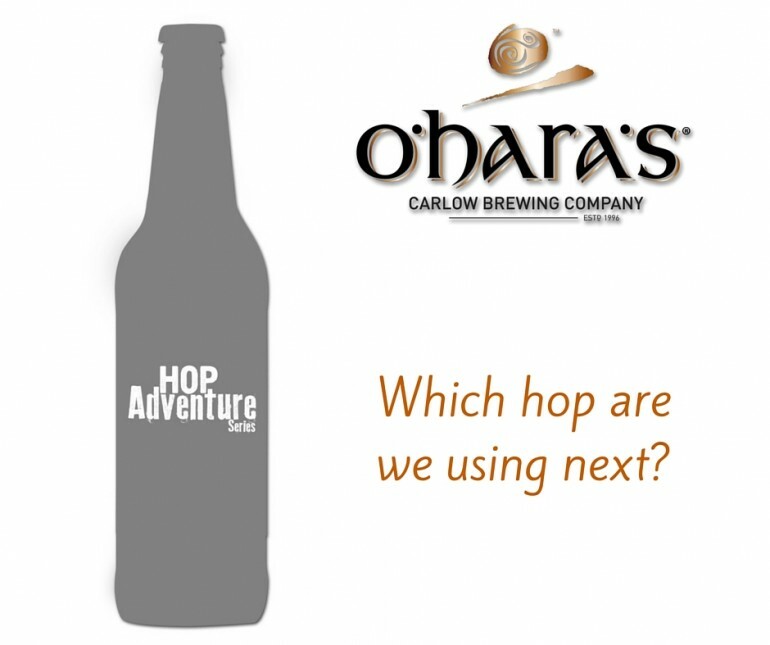 A case of the second edition in the Hop Adventure Series from O’Hara’s and a tour of the Carlow Brewing Company brewery. 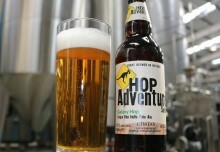 The prize will include 12 bottles of the second edition in the Hop Adventure Series. The tour is subject to availability. While every effort will be made to accommodate a tour for the winner on their preferred date, this may not always be possible, depending on availability and most tours are conducted on the last Frday of every month. The promoter reserves the right to offer an alternative prize package, should circumstances outside of their control dictate. Winners who confirm tour date and then fail to turn up, or to provide the specified notice for cancellation will risk forfeiting this aspect of their prize. There is no cash alternative. The prize is non-transferable, and non-changeable. The Promoter reserves the right to substitute a prize of similar or greater value should the circumstances make this necessary. The prize is redeemable for 12 months only. The Promoter shall not be liable for any defects whatsoever with respect to the prize/s once dispatched to the winner. The prize is non-transferable, non-refundable and cannot be exchanged for any cash alternatives in whole or in part. The decisions of the Promoter are final and no correspondence will be entered into. The winner may be required to take part in related publicity. Any personal data relating to participants will be used solely for the purposes of this promotion by the Promoter and will not be disclosed to a third party for any other purpose without the individual’s prior consent. By entering this competition, you consent to the use of your personal data by Carlow Brewing Company for the purposes of administration of the competition (including publishing your full name and county and/or disclosing it to third parties on request if you are the winner) and any other purposes to which you have consented. 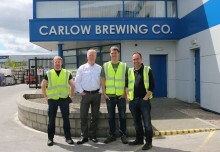 The Promoter is Carlow Brewing Company, Muine Bheag Business Park, Royal Oak Road, Bagenalstown, Co. Carlow. Please do not send entries to this address. 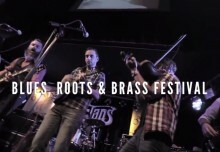 What a weekend at Whelans! Brewery Corner Wins Craft Beer Bar of the Year! O’Hara’s Brewery/Carlow Brewing Company is an independent Irish family owned brewery located in the heart of Ireland's historical malt-growing “Barrow Valley” region.